The current Quantz monument in Scheden is designed by sculptor George Arfmann from Königslütter. It’s inauguration took place on June 23, 1991. 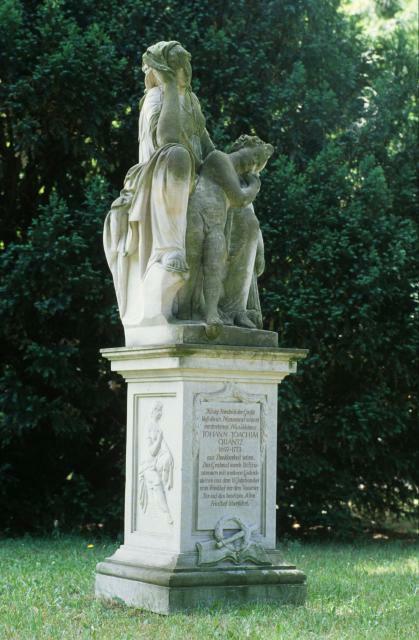 The Quantz monument , c1986. The sculpture is a horn player from limestone. The sculpture was used for the Quantz monument since it’s inauguration in 1934. It’s made by the sculptor Heinz-Detlef Wüpper (1911 – 1995) from Münden. 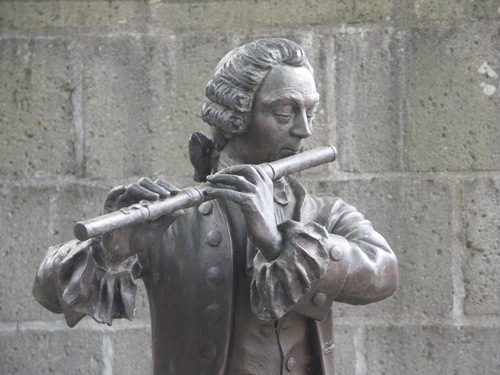 Quantz died on the 12th of July 1773 at Potsdam and was originally buried at Potsdam’s Friedhof vor dem Nauener Tor, where the king erected a monument for him. This cemetery was closed in 1796. In 1865 his remains and monument were moved to the Alter Friedhof in Potsdam. 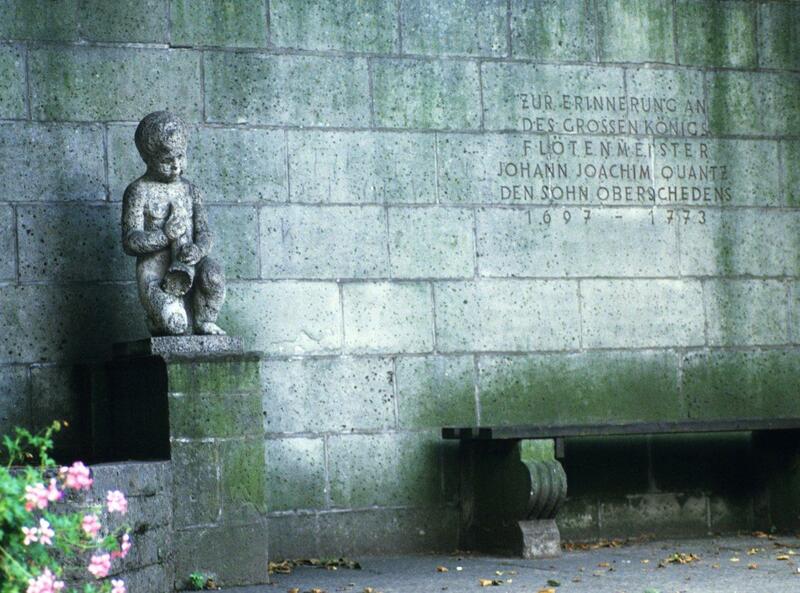 In June 1994 the weathered monument at Quantz’s first burial site was replaced with a copy. 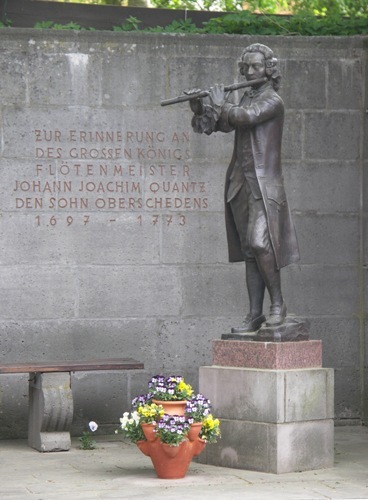 For more information about the monument see the website Friedhöfe in Potsdam, “Quantz Grabstelle” and the contribution of Ewald Schilling “Die restaurierung des Grabdenkmals für Johann Joachim Quantz vom Alten Friedhof in Potsdam” in “Johann Joachim Quantz. Biographie, Berichte und Aufzeichnungen” (Festschift) from 1991.